Bollywood director Madhur Bhandarker is much more inspired of Pakistan’s former cricket player Imran Khan, to portray his role on Randeep Hooda, for his latest film “Heroine”. The chairman of Pakistan Tehreek-e-Insaaf (PTI), Imran Khan has become the inspiration of Indian director Madhur Bhandarker’s upcoming film “Heroine”, when he used to be a cricketer. Madhur Bhandarker wants actor Randeep Hooda to portray the role of cricketer in film “Heroine” to catch the stardom, just like Imran Khan had. Bollywood film “Heroine” stars Kareena Kapoor, Arjun Rampal and Randeep Hooda, in which Randeep Hooda, as a cricketer, has to tie up with an actress played by Kareena Kapoor. 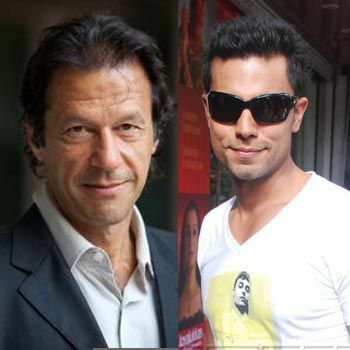 Let’s keep your fingers crossed, how Randeep Hooda catches to be a cricketer like Imran Khan.